Honeybees are getting a lot of attention lately and for good reason. These amazing insects are not only important to our food supply but also may have an intriguing role to play in our health. 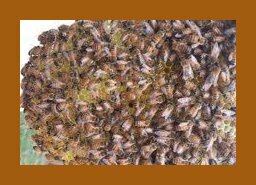 The medicinal benefits of honey, bee venom and pollen have been recognized for quite some time and have been used to treat such conditions as arthritis, allergies and skin wounds. Their populations have been declining rapidly over the past few decades, threatening the food supply of many important crops. This steep decline is still a bit of a mystery but mites, pathogens and pesticides are likely to blame. 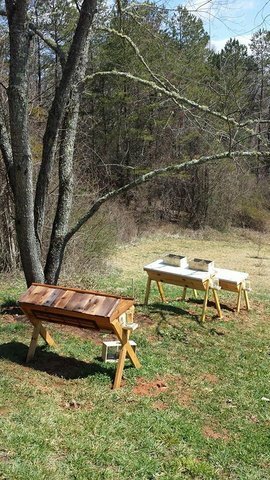 I started my own venture in beekeeping this year after learning more about the difficulties honeybees are facing in maintaining their populations. Keeping bees has been a humbling and incredibly fun learning experience for my family and myself. Though I am certainly not an expert in beekeeping yet, it feels great to be teaching my children about such an amazing and important insect that our lives literally depend upon. If all goes well with our hives over the winter, we will hopefully enjoy the fruits of our labors with our own honey harvest next season. This spring, consider planting your own honeybee garden or visiting our local honeybee stores in Asheville! Support you local beekeepers by buying local raw honey, which is great for coughs, immune support and allergies.